Formland Spring 2018 in MCH Messecenter Herning pays tribute to visionary designers with its design area ONE, and invites creative entrepreneurs to join the design scene via the CREATORS COMMUNITY event. In between the classic designers and bold trendsetters, visitors and exhibitors can look forward to getting to know some of the interior design industry's budding and visionary first-movers at the popular CREATORS COMMUNITY and ONE areas at Formland Spring 2018. The dynamic design area ONE in Hall F will pay tribute to current visionary and creative exhibitors of original and innovative design. ONE will host both new and well-established companies - whether big or small. 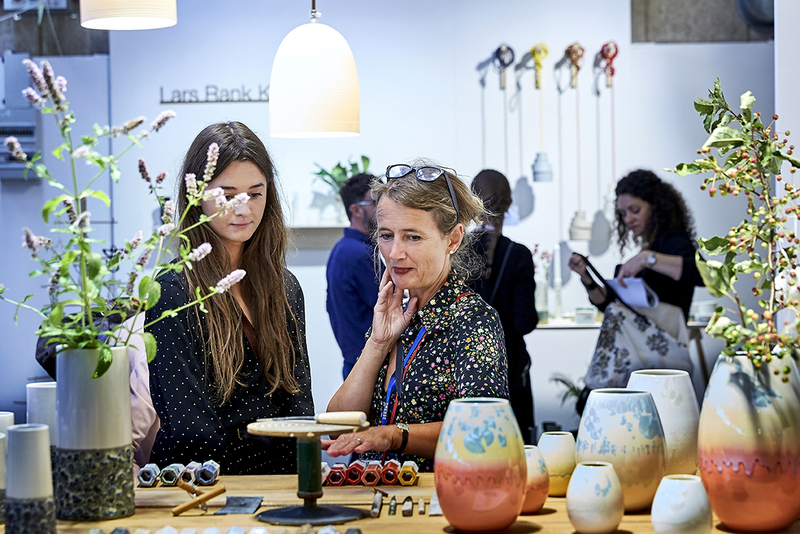 Alongside the many familiar faces, Formland also welcomes 20 new ONE exhibitors, who have also secured a space in the area. These include The Oak Men, The Dybdahl Co., By KlipKlap, Nofred and many more. They will be joined by four Danish design schools, who will be presenting new designs and ideas. "Design schools really help the Danish world of design move forward. The same applies to the ONE exhibitors, who help bring innovation and creativity to Formland with their unique ability to create something different. We are also really delighted with the dynamic we have achieved in this area," says Formland's project manager Mai-Britt Risvig Flyvholm. In many ways, Formland Spring 2018 will be aimed at all trendsetters within design. 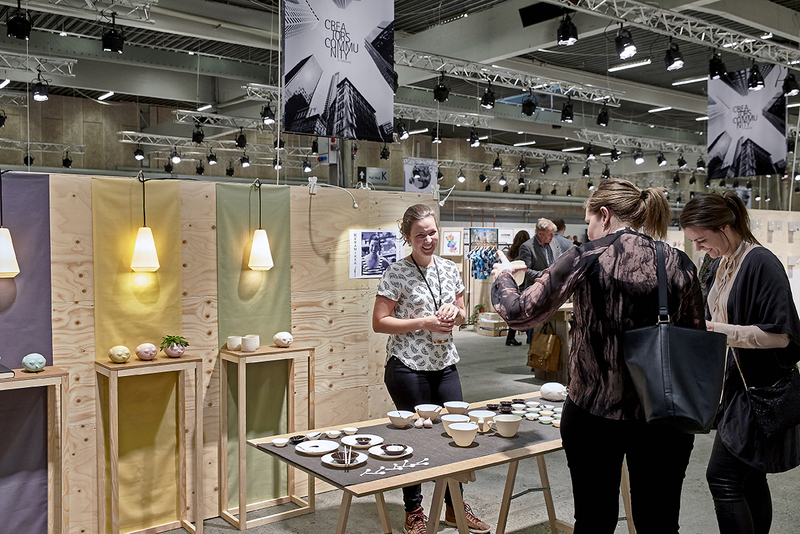 These will be able to take advantage of yet another unique and inspiring opportunity in Hall E, where 60 North European entrepreneurs are keen to meet the Danish and international design scene. The 60 entrepreneurs are all part of the CREATORS COMMUNITY concept, which aims to support talented and creative entrepreneurs in their dream to become successful and independent. All Danish participants will be assigned a professional mentor from the Danish business community, who will provide help and guidance with preparations before and during the trade fair. "CREATORS COMMUNITY is an excellent opportunity to kick-start my company. I hope to gain plenty of experience and feedback, and hopefully some good contacts with possible business partners." Agnethe Bigum will be joined by designer Matias Moellenbach, Chamba Nordic, with its Columbian traditions, and the Copenhagen Sparkling Tea Company, where one of the owners, sommelier Jacob Kochemba, has spent his entire life in the restaurant industry working at places such as Hotel D'Angleterre and Herman. A Design Award will be handed out to one of the entrepreneurs in CREATORS COMMUNITY on the first day of Formland. The award consists of a stand at Formland Autumn 2018 and € 7.500 to continue their project as independent entrepreneurs. Formland Spring 2018 takes place at MCH Messecenter Herning from 1-4 February. The fair joins together trade people who have a passion for design and interior, and gives them an opportunity to network, trade and stay up to date with the wealth of new products the industry has to offer.